As part of our commitment to provide exceptional service to our customers we have added a portable plant division for projects that require a dedicated on site demand for product. We are able to mobilize our portable operation staff and satisfy the most challenging of requirements. How can a Portable Plant be of benefit...? 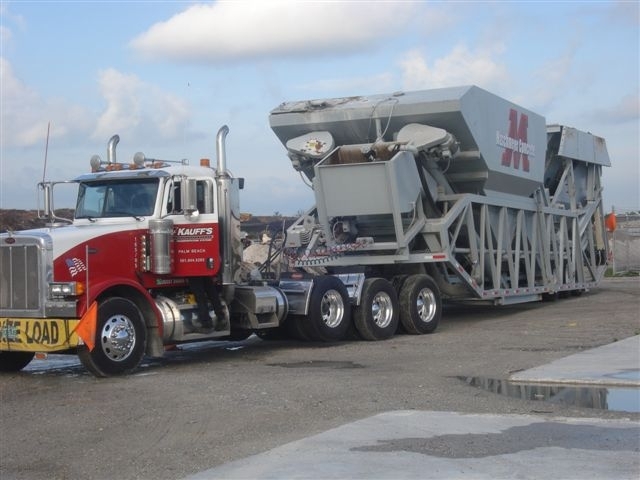 "...Another advantage that came into play on the project was suggested by concrete producer Maschmeyer Concrete, Lake Park, Fla. "They suggested we allow them to set up a mobile batch plant on the site to supply all the concrete," says Clay Fischer. Woodland's contract included all the concrete work on the project, so there was plenty of demand. 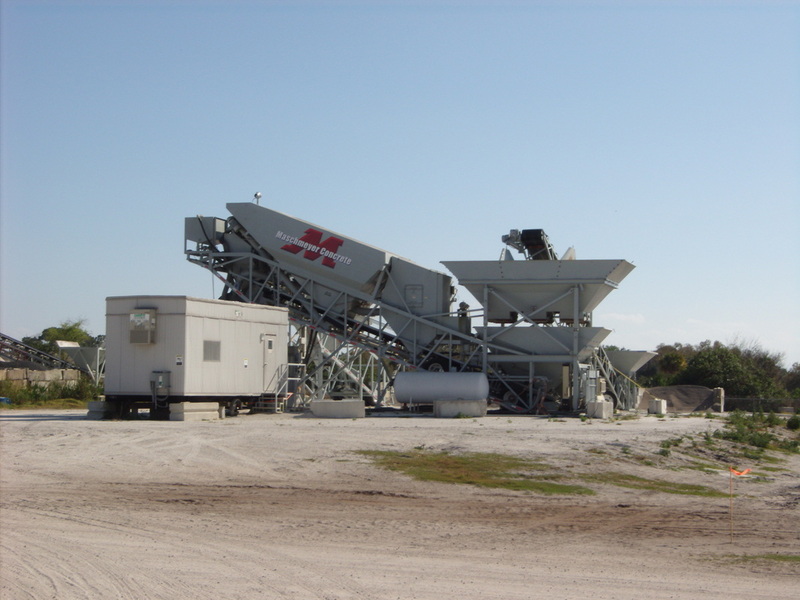 Having an onsite plant meant concrete availability and traffic delays were never problems. The company simply used five or six ready-mix trucks at the jobsite to deliver the concrete. Some days were slow, but there also were a number of 500 to 600 yard placements. "Although it didn't save us money on the material, it improved our efficiency," Clay Fischer says. "We never had anybody standing around waiting for concrete." It also lessened the effect of a congested site where not all the panels could be laid out at once. Throughout the project one set of panels had to be lifted out of the way and put into place to allow another set of panels to be formed up and placed." As part of our commitment to provide exceptional service to our customers, we have added a portable plant division for projects that require a dedicated on-site demand for product.